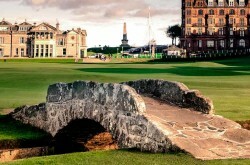 On this page we would like to introduce you to a number of popular England and Wales Golf Tours. 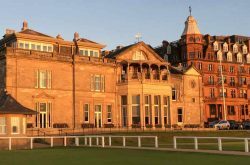 These combine some of the world’s finest golf courses along with carefully selected accommodation. 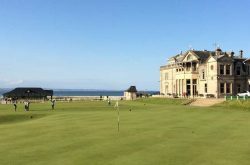 These tours can be booked as they are but we would recommend you contact us for a customised golf tour quotation that suits you and your group’s particular requirements. Royal Birkdale, Royal Liverpool (Hoylake), Formby, Hillside and Royal Lytham & St Annes. Day 1: Arrive in England. Check into Chester Grosvenor, Chester for 4 nights. Day 5: Play Hillside. Transfer to Lytham & St Annes and check into The Grand Hotel, Lytham St Annes for 2 nights. Day 7: Depart England for home. 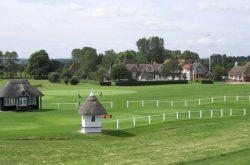 Sunningdale Old, Sunningdale New, Walton Heath, Royal St George's, Royal Cinque Ports (Deal) and Prince's. Day 1: Arrive in England. Check into Pennyhill Park Hotel, Bagshot for 4 nights. Day 5: Transfer to Deal. Play Royal Cinque Ports (Deal). Transfer to Ashford and check into Eastwell Manor for 3 nights. Royal St David's, Conwy (Caernarvonshire), Aberdovey, Llandudno and Holyhead. Day 1: Arrive in Wales. Check into Bodysgallen Hall, Llandudno for 4 nights. Day 5: Play Royal St David's. Transfer to Aberstwyth and check into the Conrah Hotel for 2 nights. Day 7: Depart Wales for home. 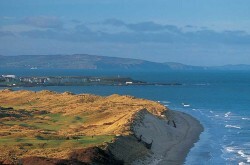 Royal Porthcawl, Celtic Manor, St Pierre, Ashburnham, Southerndown and Monmouthshire. Day 1: Arrive in Wales. Check into Coed-Y-Mwstwrl, Bridgend for 3 nights. Day 4: Play Royal Porthcawl. Transfer to Newport and check into the Celtic Manor Resort for 4 nights.